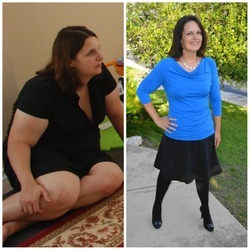 100 pounds lighter, Heather is full of energy and more confident than ever before. 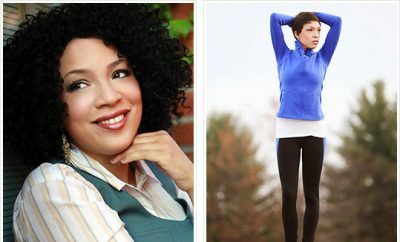 Read on for more about her journey, how she revamped her health, and the ups and downs she faced along the way. After I had my child, I got quite sick with a serious heart condition. I was not allowed to workout and was quite depressed, so I not only did not lose the baby weight, but I also gained additional weight with each hospital stay or medication change. I got to the point I couldn’t even fit into my “fat” clothes in my closet, so I spent months wearing workout pants and t-shirts. I was embarrassed to be in pictures or around my friends and new that all of this extra weight was not good for my heart condition. Weight Watchers and just cutting back. I decided to join an online weight loss challenge and counted calories. I was quite strict on my food log and started slowly exercising. At first I could not do much exercise. I’d take a few 10 min walks a week, and increased it slowly each week, which I’d have to admit was torture at first. I’m now up to at least an hour a day of of exercise and LOVE it. Between the calorie counting and the weight loss challenges that required me to weigh in weekly and be accountable, everything just fell into place. I log absolutely everything I put into my mouth. Calorie Count made it so easy for me to look up the calories of everything. I also loved the support from the Calorie Count Community. Looking through the success stories of others really motivated me (I wanted to be like those in the before and after photos) and just talking to others going through the same journey, made me feel not so alone! I was also able to meet others who had additional challenges like my heart disease, which makes it even more difficult to lose weight. Ah yes! There are points in the journey where I felt so burnt out and wanted to give up. Losing 100 lbs isn’t something that you do overnight or even in three months. There are loads of up and down moments where I needed to step back, take a bit of a break and regroup. It took me about 6 weeks to notice a real difference. 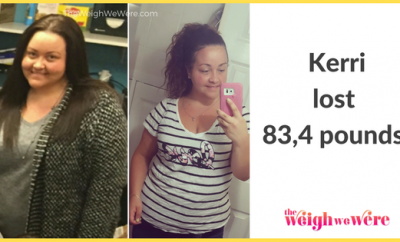 Once I could fit into a pair of jeans again, it gave me hope! I’m still losing (5 more lbs to go) but I weigh in weekly and make sure I exercise at a minimum of 3 days a week. I don’t deprive myself of a treat, but I balance it out. If I have that piece of cake, I will have a light dinner and make sure I exercise that day. Things like that. My life has been AMAZING since losing the 100 lbs. My doctors are thrilled with my progress. My blood pressure has dropped and my heart medication was cut in half. I wake up every day with a smile on my face and have so much energy. I always blamed my tiredness on my heart issue, but in reality it was the extra weight keeping me down. Now I feel like I can do anything! I’m still losing! I’d like to take off 5 more lbs. 10. What tips do you have for other dieters? 1. Counting calories works! Seriously! You must count EVERYTHING you put in your mouth though. Be honest with yourself. That bite of your kid’s doughnut does have calories! 2. Eat frequently! If you starve all day your dinner will be way larger than it should be. 3. Be realistic! Weight loss is a lifestyle change and it takes a good two weeks to get adjusted to eating healthy. Keep the eye on the prize: A healthy and hot you! 4. You will slip up and thats okay! Everyone does. Just dust yourself off and get back to it. 5. Take frequent pictures of yourself. This may sound odd, but sometimes its hard to tell the difference looking at yourself in the mirror. 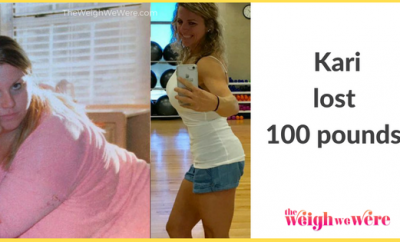 37 Pounds Lost: Lift heavy, your body will love it!